The Muse Report | WAYO 104.3FM Rochester, NY | Way out, right here. Blogger for TheFreckledMuse.com, Angel White brings to you the hot entertainment and social topics of the week. 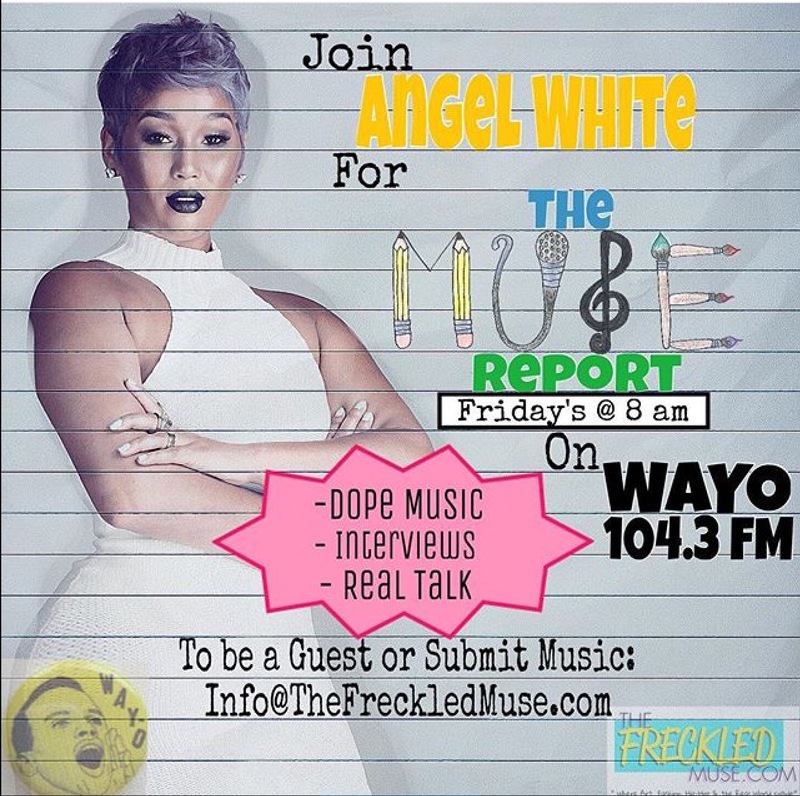 The Muse Report w/ Angel White, airs Fridays at 8 am each week with a new guest host joining Ms. White in discussing their raw opinions all things fashion, hip hop, art & real-world related.